Written and Composed by Wm. J. Scaulan. 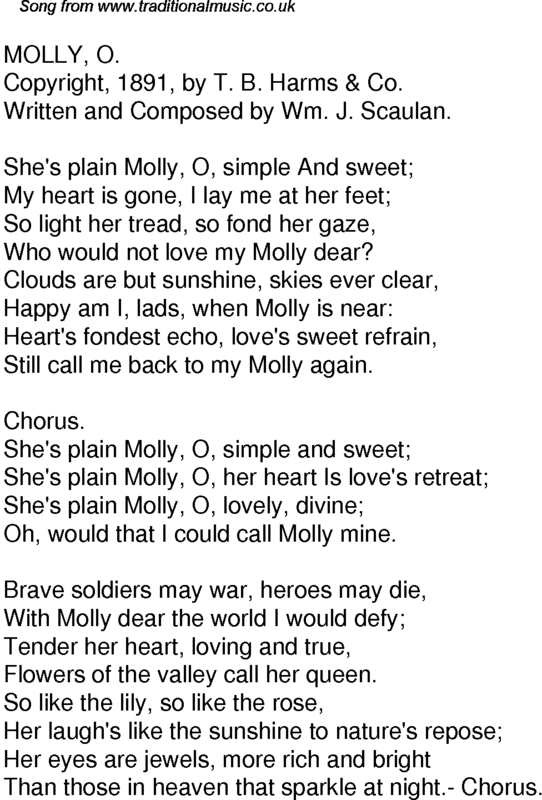 Who would not love my Molly dear? Than those in heaven that sparkle at night.- Chorus.